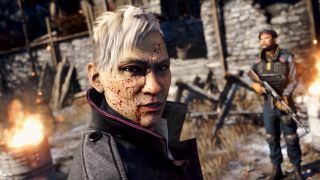 Far Cry 4 came out today and while we don't have our full review quite yet, we do have a reprehensibly powerful computer with a hunger for gorgeous games at high frame rates. We loaded it onto the LPC, cranked all the settings to max—which in this case was the "Nvidia" setting—and recorded some sweet, 1080p 60 fps goodness straight from the hills of Kyrat. It's worth noting that, even on a monster like the Large Pixel Collider, we were only able to record a consistent 60 frames per second at 1920x1080 resolution and with anti-aliasing set to SMAA. Want to see more from the LPC archive? Check out some of our other recent videos: Middle-earth: Shadow of Morder, Fifa 15, Ryse: Son Of Rome, Metro 2033 Redux, Deus Ex, Watch Dogs, Wolfenstein: The New Order, and Arma 3. There's a lot more where that came from. Have a game in mind you'd like to see the LPC take on at ultra settings? Tell the LPC directly on Twitter.